Hell's Guardian was born in 2009 from an idea of Freddie Formis(guitar) and Dylan Formis (drums). The band is completed by Cesare Damiolini (rhythm guitar and growl vocals) and Claudio Cor (bass guitar). In 2010 the first demo was released, while in 2014 the first album ‘’Follow Your Fate’’ came out. 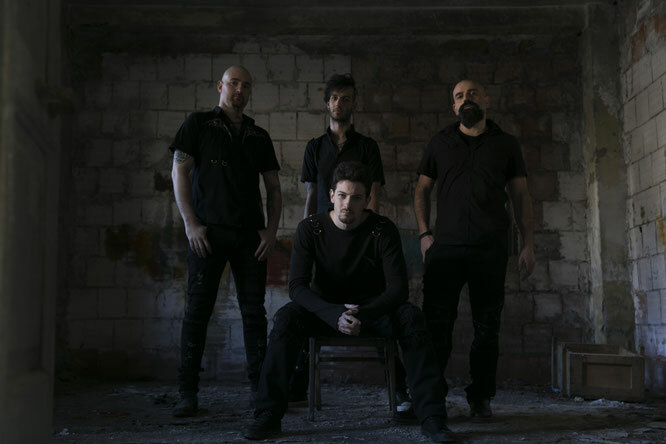 In July 2015 Hell's Guardian released a new EP called “Ex Adversis Resurgo”. Hell's Guardian has shared the stage with amazing acts like Amorphis, Children of Bodom and Sabaton. The band already toured Europe, with many live shows and an Eastern European tour supporting Temperance during their "Metal Invasion Tour". 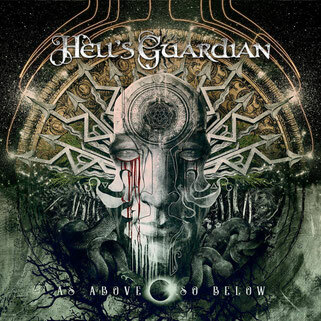 At the end of the 2017 Hell's Guardian started the recording of the new album "As Above, So Below" at the Media Factory studio with Fabrizio Romani, then mixed and mastered at The Groove Factory Studio by Michele Guaitoli. The album was released on September 14 2018 through Record Union. We open the album with instrumental track ‘’Over The Line’’, followed by ‘’Crystal Door’’. Both are very nice tracks, but the ‘’Over The Line’’ promised a lot more than what ‘’Crystal Door’’ eventually turned out to be. I expected this album to be a lot heavier, and I’m kind of disappointed by the fact that it is not. Tracks like ‘’Blood Must Have Blood’’ kind of sound poppy to me, and even though the quality of the album is top notch, it does take away a bit from that raw metal sound. I kind of want to compare it to In Flames latest albums, heavy verses, rock-like choruses. ‘’Waiting For Nothing’’ is another instrumental track, which I can really appreciate if it is placed in the right moment on an album. It fades in perfectly to ‘’90 Days’’, and in that case an intro makes sense. Again here is the mix of the growls and clean vocals, and for me it feels weird to say, but I think the clean vocals fit the music way better than the growls. ‘’Lake Of Blood’’ sounds like I am used to hear from Hell's Guardian, I am happy that they kept a bit of their roots in this new album as well. It sounds a bit like Children Of Bodom or Kalmah, very nice! I feel somewhat neutral about the following three tracks. Both ‘’Jester Smile’’ and ‘’I Rise Up’’, I don’t love them, I don’t hate them. ‘’My Guide My Hunger’’ is a great track but the female vocals to me do not really fit. If you would take those out of the equation I would have liked it better. ‘’Colourful Dreams’’ is definitely the best track for me on this album, I like the touches of symphonic and powermetal in there. The production is flawless, the quality of the music is super high, and I can’t find any negatives on that area. However I do strongly advice the band to experiment more with the clean vocals. Adrienne Cowan (Seven Spires, Light & Shade) - Vocals on "My Guide My Hunger"
Ark Nattlig Ulv (Ulvedharr) - Vocals on "Colorful Dreams"
Fabrizio Romani - Guitar solo on "Crystal Door"
Mirela Isaincu - Acoustic Violin on "Crystal Door" and "Jester Smile"